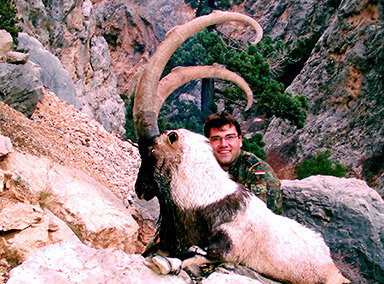 Thanks to an unusually high game management program, Turkey becomes the first destination for the biggest Bezoar Ibexes in the world. The trip is very easy. There are daily flights from any European airport to Istanbul and from there to Erzurum, where one of our staff will welcome you at the airport and clear the rifle for you. 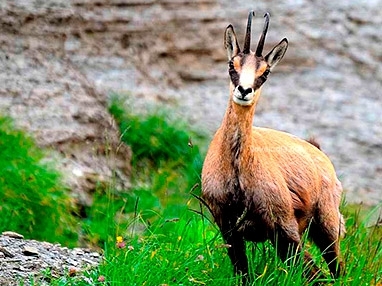 The Bezoar Ibex is one of the most interesting wild goats of the world. The well curled, slim shaped horns, reminds the swords, the outman’s used during their fights and wars. You will find a large horn variety with massive curls, wide tips, curled tips, long and uncurled horns etc. We talk about a good trophy when the horns reach 100 cm. Everything up to 125 cm is very good and up to 140 cm is exceptional. The ‘billys’ hunted in our exclusive area have an exceptional big base as well. As with all mountain hunts hunters should be in a good physical condition to maximise enjoyment and hunting success. 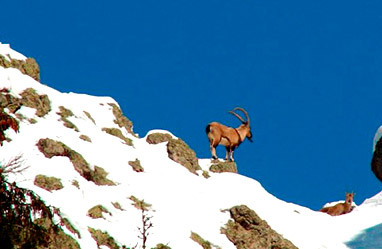 Depending on the area the best time for hunting Bezoar Ibex is November and December during the rut. It is spectacular and dramatic to see the billies fighting in steep mountains. After the rut the Ibexes come down to a lower altitude because of snow falls. It is also possible to get a very good trophy during this time. The accommodations are normal class hotels during the hunt. Depending on the game situation it is possible that the hunter has to stay in spike camps for a couple of days. 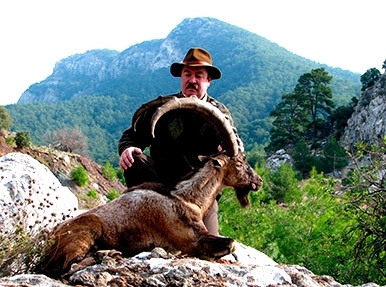 But one thing is clear everywhere, you will get the best Turkish kitchen available and you will enjoy mountain hunting at its very best. As with most mountain hunts, a quick calibre like the 7mm Rem. mag and all .300 calibers are ideal for long distance shots. As there is a limited number of tags given each year, we recommend an early reservation. If you have any questions regarding Bezoar ibex, please don’t hesitate to contact us. 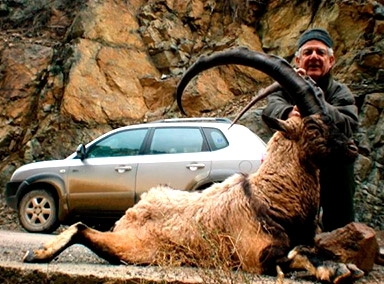 A combination of Bezoar Ibex and the world re-known big wild boar tuskers is possible. 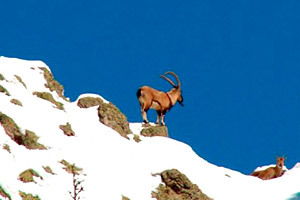 You will enjoy beautiful monets in the Turkish mountains whilst hunting the worlds most beautiful goat.